Open world Star Wars game from EA Vancouver reportedly cancelled – AiPT! The latest in a long line of disappointments in EA’s handling of the Star Wars license. Electronic Arts has cancelled the yet-to-be-titled open world Star Wars title from EA Vancouver, according to a report from Kotaku. The title was subtly announced in 2017 following the abrupt cancellation of another unnamed Star Wars game from Amy Henning of Uncharted fame and Dead Space developers Visceral Games. This open world title was said to have been a complete reboot of the Visceral game, retaining the original art but shifting from a linear, story-driven game to an open-world experience. 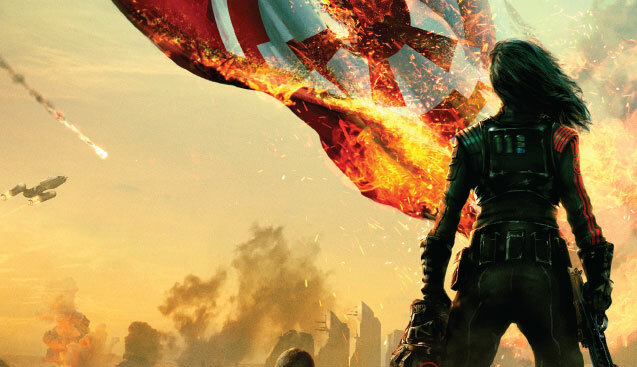 Visceral’s untitled Star Wars game was only briefly shown before its cancellation. Since being granted the Star Wars license in 2015, EA has yet to produce a Star Wars title that satiated fans’ hunger for a quality Star Wars gaming experience. Both Battlefront titles delivered pristine visuals and excellent mechanics, but were mired with a lack of content and/or horrific loot box and micro-transaction controversies. Aside from those two releases, EA has yet to develop any other titles for home consoles. Battlefront II was criticized for its poor progression system upon release. The cancellation of this untitled game leaves Respawn’s upcoming Jedi: Fallen Order as the only remaining Star Wars video game in development, excluding mobile and VR experiences. It’s speculated that Jedi: Fallen Order will release in the fall of 2019. My take? This is an unexpected move, but may end up being a blessing for Star Wars fans in the long run. Following the loot box debacle that was Battlefront II and the uproar around the cancellation of the untitled Visceral game with the unexpected cancellation of a major release is a really bad look for a company that has already been named the worst company in America on multiple occasions. Hopefully Disney senses this disturbance in the Force and grants the license to a company who will actually deliver quality Star Wars experiences — or at least more than two subpar games in four years. What do you think of this cancellation? How do you think EA has handled the Star Wars license? Let us know in the comments below!